From International Day against the large dams to the World Water Day a wave of actions in defense of the river Shilka initiated by WWF and local NGOs rolled through the Amur River basin from headwaters to the ocean. “EuroSibEnergo-En+”, the largest independent power producer in Russia, and China Yangtze Power Co. (”CYPC”), the largest Chinese listed hydroelectricity producer, prepare for joint investment into power plant construction projects in Eastern Siberia. Trans-Sibirskaya Hydro in Zabaikalsky Region, on Shilka river –the source of mighty Amur River with 450 kilometer long reservoir will occupy roughly a half of Shilka River proper. It will block important migration corridor between Amur river and northern Dauria, exterminate floodplain communities unique for Dauria, drown many important historic sites and 20 settlements. Reservoir will be contaminated with rotting wood and toxic substances from mining complexes upstream, it will exterminate local fish including giant Kaluga Sturgeon –endemic of Amur. 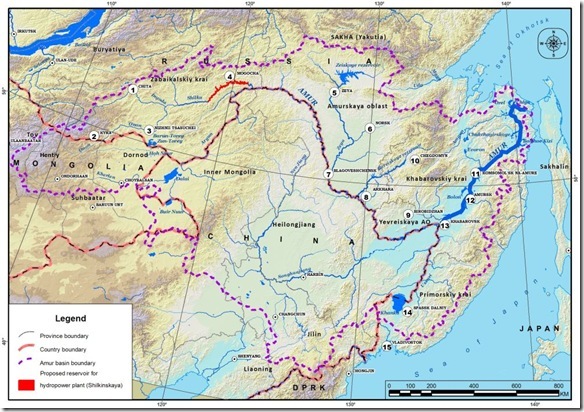 CYPC and Three gorges Co. eye this project on the source of Amur as a first step to build dams on Amur river main transboundary channel. Right now “EuroSibEnergo”(En+) develops feasibility study to obtain investment from EXIM Bank of China and other sources. Shilka river – one of the pristine and beautiful parts of the Northeast Asia where the high productivity of forests, fish productivity. Here, the largest number of rare and endangered plant species. In the Shilka live 45 species of fish, it is the only river with such a large diversity of species in Dauria region. The ecosystem of the river Shilka is not only beautiful, unique, but little-studied natural area, whith only three small protected areas – monuments of nature established to date. The project to build the Trans-Siberian (Shilkinskaya) HPS threatens all of these riches. In the would-be inundated area experts identified 138 cultural heritage sites, including three well-known churches, 123 archaeological sites, including medieval burial mounds. There is a real threat of extinction of unexplored biodiversity in the area. Local people will get only flooded farmland, forests, meadows, villages and cemeteries with the graves of loved ones. Once EuroSibEnergo-En+, learned about the upcoming campaign it came up with public announcement on Trans-Sibirskaya Hydro (in Russian only) claiming it has nothing to do with damming practices of the past, that it adheres to principles of sustainable development and electricity will go primarily to domestic Russian consumers, not to Chinese market…. Map of events during “ Week to stop Trans-Sibirskaya Hydro”(planned reservoir shown in red) Figures on map correspond to the figures behind geographic names in the text. Zabaikalsky Region (Transbaikalia), Chita City. 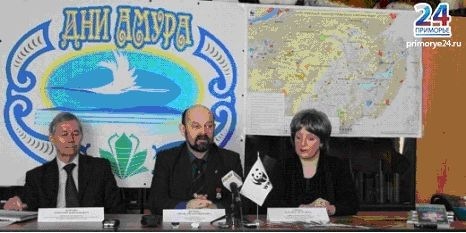 Round table organized on March 14 in Chita (1) socio-ecological center "Dauria". Keynote speakers were Irina Glazyrina – PhD in Economics, Igor Mikheev – Candidate of Geographical Sciences, Olga Kirilyuk, Ph.D. INREC SB RAS, Oleg Korsun-PhD GGPU Transbaikalia University. The roundtable participants adopted a resolution with appeal to prevent the construction of hydroelectric power station on the Shilka which will be sent to Public Chamber of the Trans-Baikal region, Transbaikalia to the Governor and the President’s representative in the Siberian Federal District V.A.Tolokonsky. 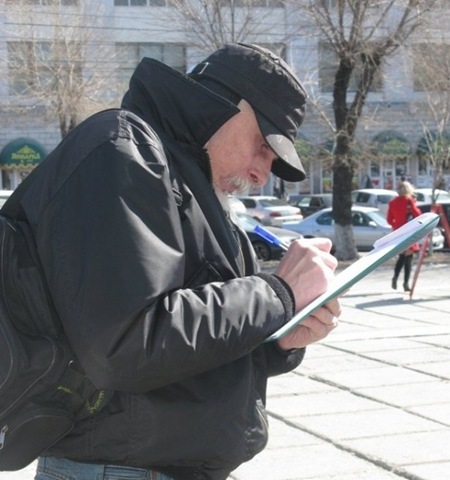 In Nizhny Tsasuchei (3) township on Mongolian border as well as in Mogocha (4) railway hub near proposed reservoir signatures were collected under petitions to stop the dam. All these settlements would be deprived of their fisheries due to blocking of Shilka River by dam. 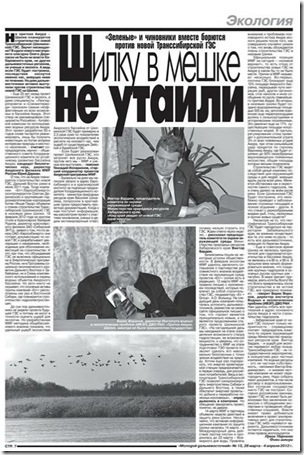 Despite obvious pressure from regional government regional media published 20 articles on Shilka Hydro? Most of them highly skeptical about this project necessity and feasibility. On March 22 the to Public Chamber of Zabaikalsky Region held special hearings with 50 experts and NGO representatives and 7 ministers of regional government present. Regional government was trying to prove that energy is needed by Russian regions, but experts, knowing the situation claimed that the Russian Far East was not currently facing a need for additional power, as two existing hydropower plants on the Zeya and Bureya rivers were fully meeting its demands. They also said they considered the new plant necessary for power supplies to China. This meeting had huge press coverage and follow-up discussion on internet forums. Vote on popular website revealed that 58% of people are against the project, while 30% lack information to make judgement. In Blagoveshchensk (7), a press-conference devoted to the construction of hydropower stations on the river Shilka was held on march 14th. Event was organized by environmental NGOs "AmurSoES." In a press conference attended by representatives of the Federation of Trade Unions of the Amur region, the Youth Parliament of the Amur region, the Association of Industrialists, Entrepreneurs and Employers of the Amur region of other environmental NGOs. All present expressed opposition to the project. Among the arguments were heard, as a purely environmental – a violation of the migration routes of aquatic animals, changes in hydrological regime and the regime of sediment runoff, flooding areas. And economic – obstruction of navigable waterways, unprofitability of new generating capacity with no load and no existing power lines. It was suggested that the construction of hydroelectric power station on the main source of the Amur river is equivalent to blocking the main channel. All participants expressed their willingness to sign a letter to the Prime Minister of the Russian Federation, Plenipotentiary Representative of RF President in the Far East Federal District, Governor of the Amur region in which to express public opinion on the need to prevent an extremely dangerous from the standpoint of environmental safety and meaningless from an economic point of view of the project. During this week Student conservation Group “Bars” organized a series of exhibits and performances and solicited support to anti-dam-petition in the streets, while weather was mild never getting below -10 Centigrades. People of the Amursky Region, possessing two large hydropower stations, better than anyone else know about threats of damming a river. So they prefer to act well in advance to prevent this from happening upstream. Biggest Sino-Russian hydropower station Khingansky –Taipinggou was once proposed to be built here, but it was sacked due to strong public dissent – the dam would block Amur River and cut free-flowing river into two halves. An open lesson on amur river protection was held in high school of Birobidzhan –regional capital and latr students participatd in and contests devoted to preservation of free flowing river ecosystems without dams. 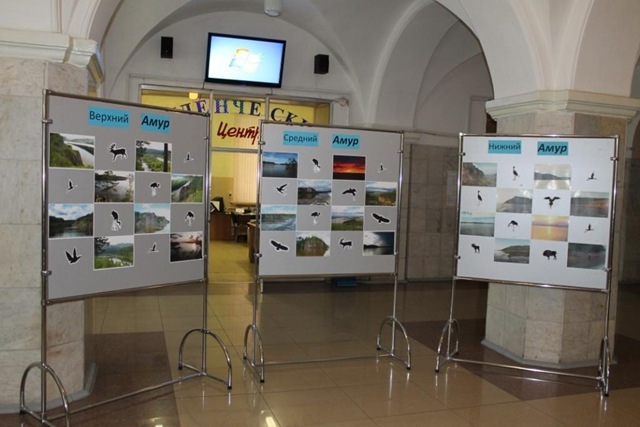 On the International Day of Action Against Dams in Khabarovsk in the conference hall of the Institute of Water and Ecological Problems, Far Eastern Branch of Russian Academy of Sciences held a press conference. Senior Project Coordinator of the Amur basin program Amur branch of WWF G.V.Illarionov. The press conference was attended by most of the journalists of news agencies, periodicals, television and radio broadcasting companies in the city of Khabarovsk. Boris Voronov, who has devoted audience in the history of planning the construction of hydropower stations in the basin of the Amur River, laid out the basic requirements of scientific and public organizations to limit the potential of natural resources in the basin of the Amur, in particular – the use of water for a hydroelectric power station. He drew attention to the fact that although the plans for a hydroelectric power station on the river Shilka not yet formally identified, but some preparations are already underway in this direction. Andrey Makarov also said that the official is currently no pending interest from potential water users to plan a hydroelectric power station on the river Shilka. In this case, any plans and projects on the use of natural (and water) in accordance with Russian legislation must pass a rather complicated approval procedure, including the introduction of them in future plans for using resources, conducting technical and environmental expertise, coordination at the level of local government and organs of state power of subjects of the Russian Federation, taking into account the interests of local people through public hearings and (or) referendum. Victor Bardyuk noted that the state authorities and the population of the Khabarovsk Territory should also pay attention to plans to build hydropower plants on the river Shilka. Because, despite the considerable distance of this region of the Khabarovsk Territory, Shilka river itself is a vital part of a single natural system of the river Amur. And the Khabarovsk Territory, as located on the Amur River below all other regions of Russia and China, has already received all of the major environmental problems of its lower reaches, and if plans to build hydroelectric Shilkinskoy these problems even increase. This is a rare case when NGOs, Science people, national and regional authorities all share the same concern and unite to protect the river. In Komsolmosk City (12) Komsomolsky Nature reserve during this week organized lectures, roundtables, student conferences, multimedia educational events devoted to protection of rivers from damming. 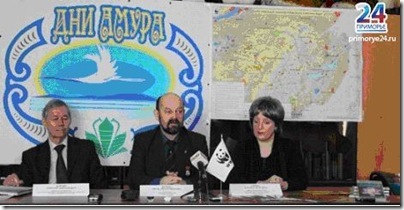 In Vladivostok, a meeting of the Coordinating Council on environmental issues of Primorsky Krai was held on March 14th. Therefore, besides the seven non-governmental organizations, the hall was attended by invited experts of, the Federal Agency for Water Resources and the scientists involved in the water reseach. It was chaired by Chairman of the Council Boris Preobrazhensky, Distinguished Ecologist Russian Federation, Doctor of Geological and Mineralogical Sciences, principal researcher of the Pacific Institute of Geography FEB RAS, and a number of university professor of Vladivostok. Svetlana Titova – PA Coordinator for the Amur branch of WWF-initiated spoke about the World Wildlife Fund "Week of Action in defense of the Shilka" .The information provoked a warm response of participants. Dmitry Vyshkvartsev – Honored Russian ecologist, Ph.D., senior researcher at the Institute of Marine Biology noted that the Russian Far East with two operating GES – Zeya and Bureya – there is a surplus of electricity. As a specialist in the field of hydrobiology and ecology, he pointed out all the adverse effects of construction of hydropower stations on the Amur river. A member of the Institute of Biology and Soil Sciences, Far East Tatiana Vshivkova proposed to write a letter to the presidential envoy V.I.Ishaev that the construction of hydropower plants on Shilka cause irreparable damage to the Amur. Participants agreed that the. Transsiberian (Shilkinskaya) HPP will pave the way for the construction of a minimum of three hydroelectric power stations on the mainstream of the Amur River , which has been a long dream of China. The Amur is the last free flowing river in Asia, which has no dams on the mainstream. In all five regions and on several national web-sites signatures were collected under petition to the Russian government to prevent Shilka Hydro from being included in any national plans. During the week EuroSibEnergo-En+ several times complained to press that environmental groups did not warn them in advance about the camign and did not invite them to sent representatives to the events. 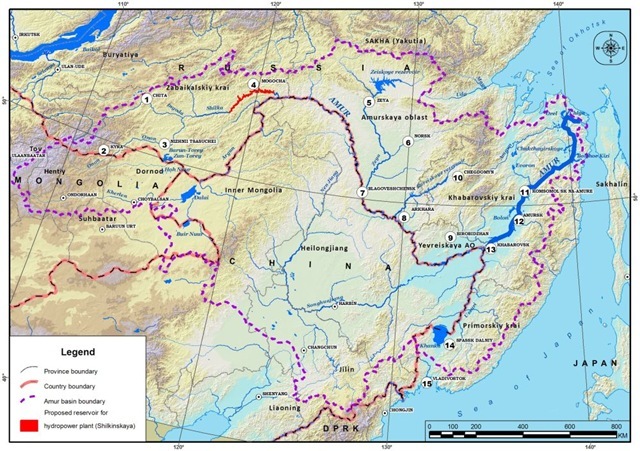 A day before World Water Day En + Group informed WWF Moscow office that they want to suspend planning and negotiation process for Trans-Siberian hydroelectric project and look at other strategic options. On World Water Day En + Group and WWF Russia have agreed to hold a joint comprehensive study to assess the impact of hydroelectric plants on the ecosystem of the Amur River Basin. The purpose of the study is to identify and balanced account of all the key factors, including environmental and socio-economic, that should be taken into account when deciding on the possible development of hydro potential of the Amur basin and construction of new hydroelectric plants. Such a comprehensive strategic environmental assessment will be conducted for the first time in the history of hydropower in Russia and the Soviet Union. Prior to the completion of studies and obtaining his conclusions, and En + EuroSibEnergo suspend work and negotiations on the Trans-Siberian hydroelectric project on the Shilka river. The decision on the future of the Trans-Siberian hydroelectric project company will be based on the conclusions of a comprehensive environmental assessment. This is a very good outcome for a week- long campaign, but by no means the end of our effort to prevent hydropower on Shilka and Amur rivers. We are yet to see how En+ will stick to its promise and whether joint strategic assessment will lead to useful results. At Boao Forum for Asia 2012 Annual Conference EN + CEO Artem Volynets reported: China and Russia could jointly develop hydropower to reduce dependence on coal. So while “suspending” Trans-Siberian hydro EN+ continues marketing its energy to Chinese audience….